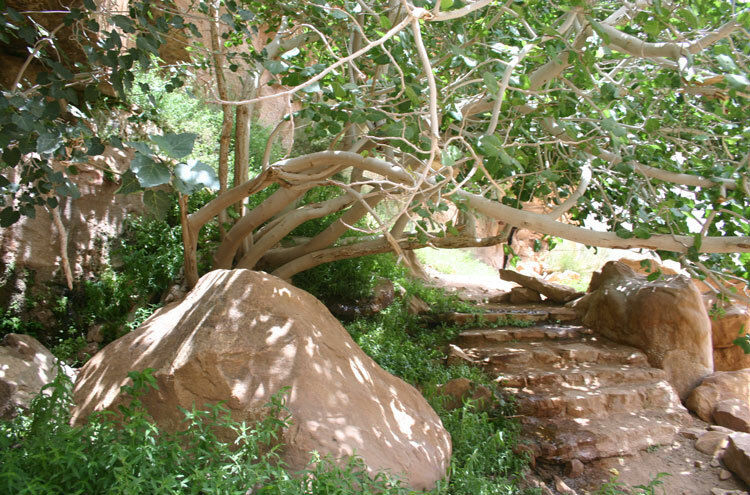 Lawrences Spring is in Wadi Shelaali, a short canyon of broken boulders curling into the vast Jebel Rum, Wadi Rums western wall, near Rum village. 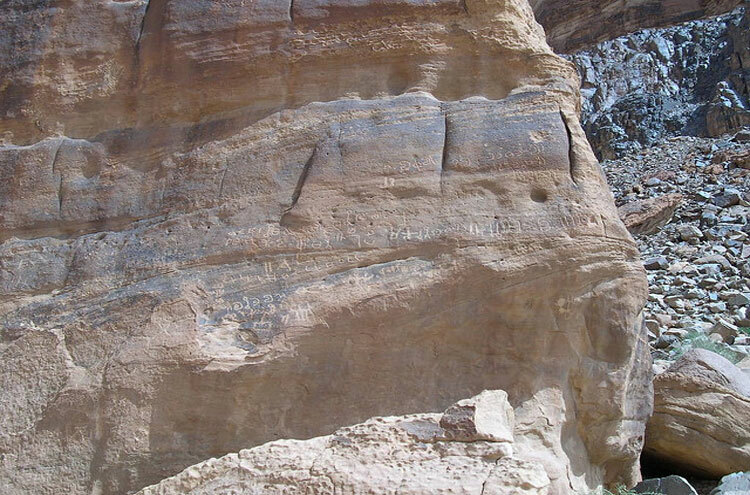 It is mentioned twice (ecstatically) in The Seven Pillars of Wisdom, and a broken-down watercourse shows that it was the probable reason for the Nabatean site and temple nearby. 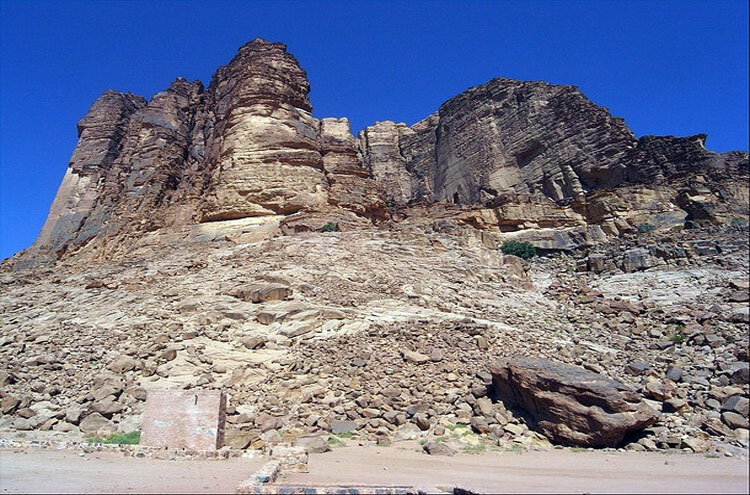 All along Jebel Rum are small clumps of vegetation marking the seepage of water at the junction, a few hundred feet up, of differing rock layers. 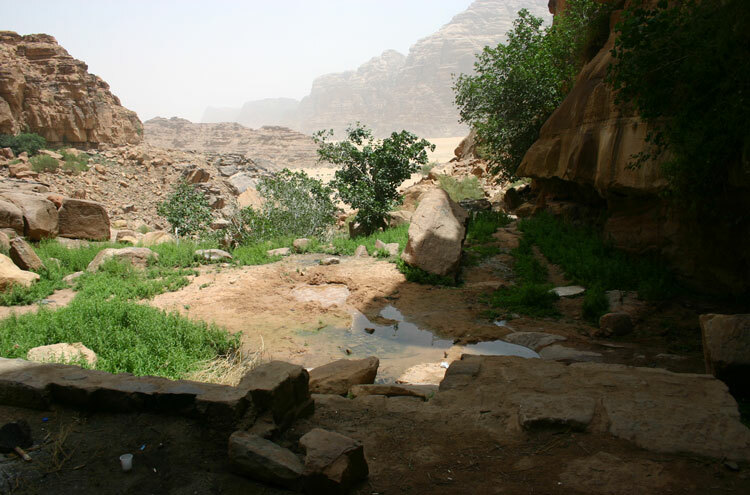 Lawrences Spring is for most of the year more a puddle in a refreshingly dank, cool and green corner of this broiling landscape, than a Platonic ideal of a spring. But you can see why Lawrence thought it a paradise. 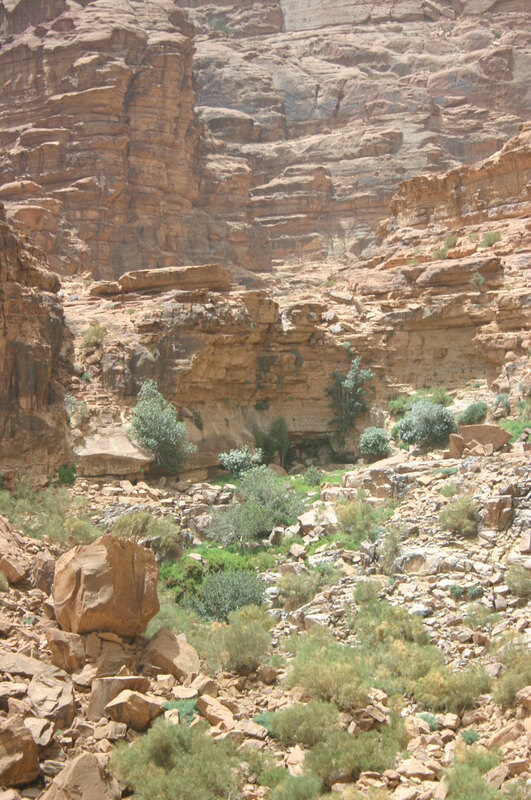 Above the spring is a horseshoe of low cliffs, apparently scramble-able and giving access to an upper canyon that peters out at the base of the real Jebel Rum wall. 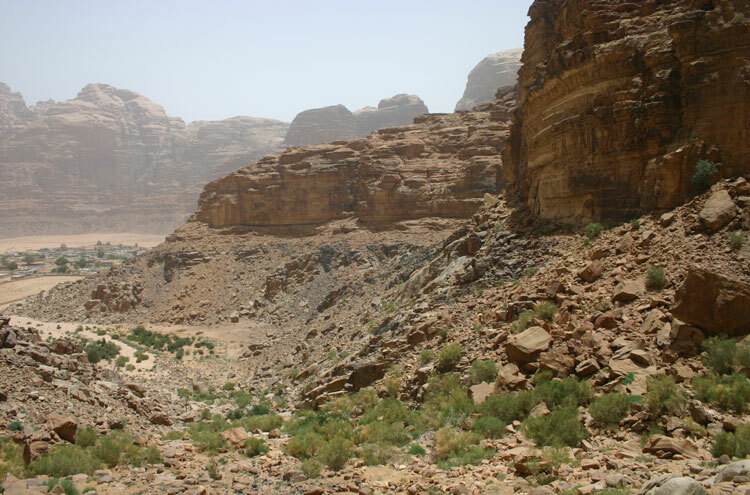 From the resthouse and campsite near Rum village, head south-west toward Jebel Rum and the white water tank at the entrance to the valley. 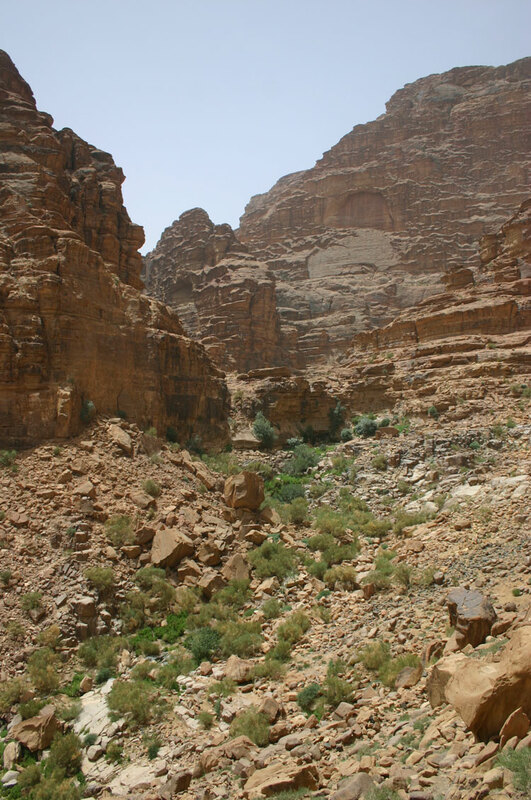 The path is clear, zig-zagging up to a little plateau and then following the line of the valley, below the cliffs, passing first of all the springs of Abu Shleilieh and then arriving, at the end of the valley, at Lawrences Spring. 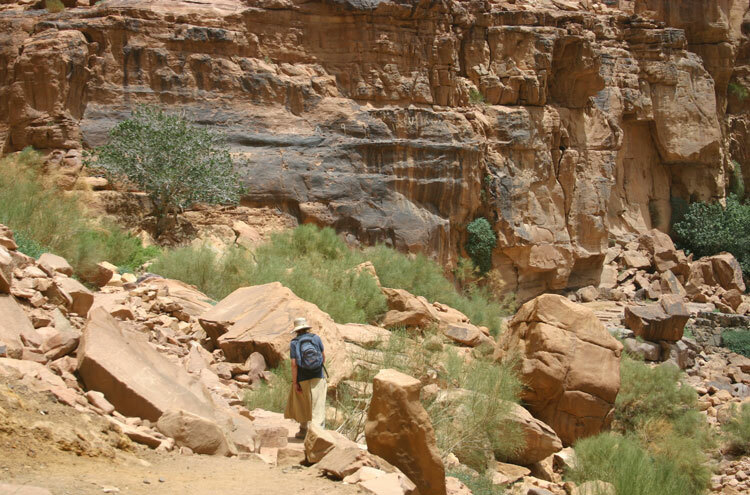 On the way, enjoy a good introductory taster of the drama of Wadi Rums unique landscape of shifting red sand surrounding vast massifs and towers, some of which stand approaching 1,000 metres above the desert floor, all striped with an extraordinary variety of colours, all presiding over cliffs, wadis, sand dunes and springs. 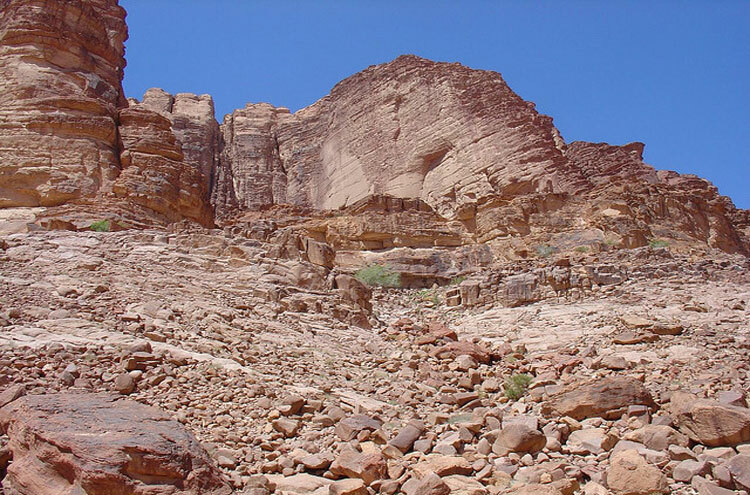 See our Wadi Rum page for more information on Wadi Rum. 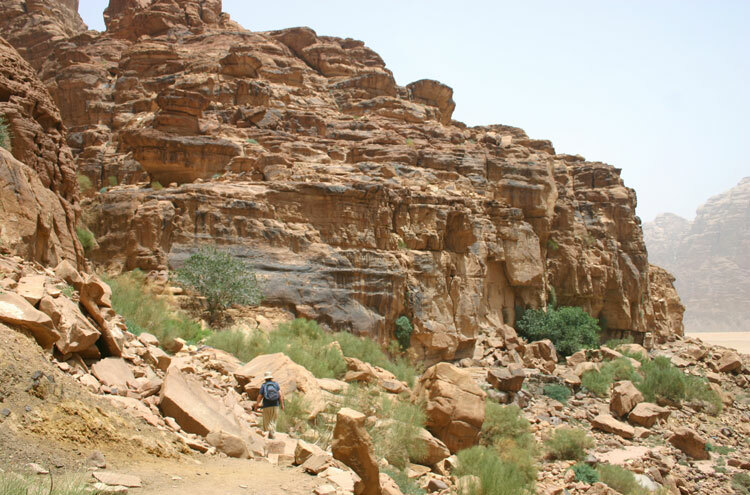 This is a very nice and easy walk, to recommend specially in the end of afternoon, to enjoy the shade of the Rum mountain. 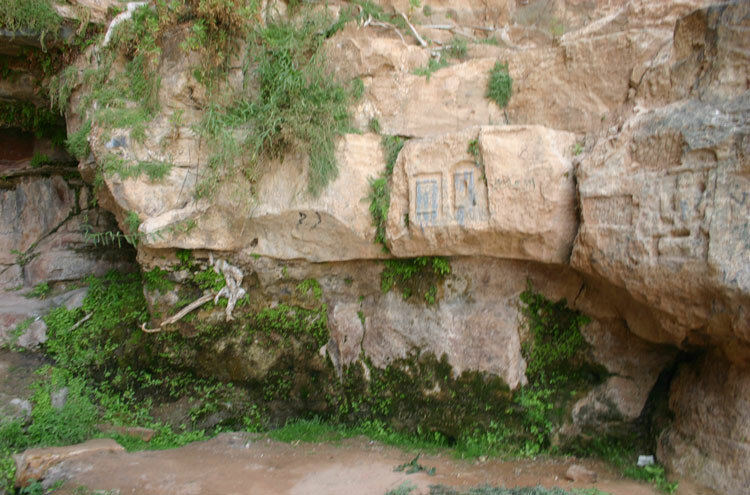 It is the shelalah spring, and not the Lawrence spring. 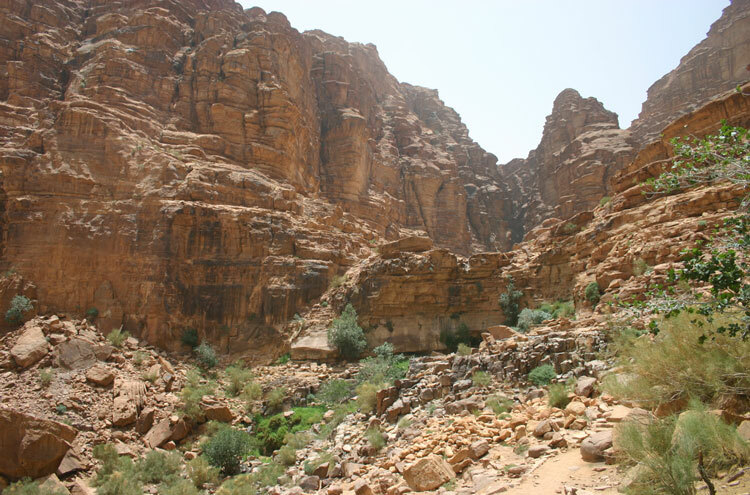 Even if there are a lot of springs in the valley, the nowadays called larence spring is located further in the valley and is a more touristic places, with bedouins still grazing herds of goats and camels. Walkopedia says: thank you!